Despite showing some fight India lost the Test series against England 4-1. India had their moments in all of the matches except the Lord's test match. But they couldn't make them count. Now it's time to reflect back and take a look at some of the best players for India in the series. Here are the "5 best players for India in the test series." Without a doubt, Virat Kohli was the best player for India in the series. In fact, he was the best batsmen in the series. He scored 593 runs at an average of 59.30, which includes two hundred and three half-centuries. The major concern for everyone before the series started was if Virat would be able to cope with the swinging conditions of England or will it be a repeat of 2014. Kohli answered and answered with some authority. 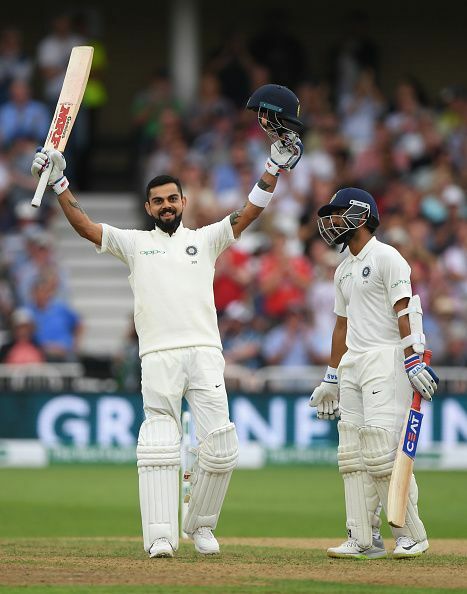 Kohli's best innings had to be the one played at Trent Bridge 103 off 197 balls. In the first innings of the same test match, Kohli missed the ton by just 3 runs. With the help, of his knocks, India registered a huge win in the 3rd test match of the series by 203 runs. Virat Kohli was the highest run-getter in the series. The fact that second run-getter Jos Butler with 394 runs was 199 runs behind Kohli proves his dominance with the bat in the series.